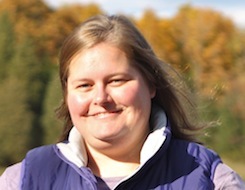 Erin McNeill has over eight years of experience as a full-time nanny caring for newborn through school-aged children. She graduated in 2002 with a bachelor’s degree in recreation and leisure studies and in 2008 completed a graduate teaching licensure program with an emphasis on middle school mathematics. Erin currently sits on the board of a local nanny group, Massachusetts Alliance of Professional Nannies (MAPN), which she helped found in 2010 to strengthen the voice of the nanny in the workplace, build social connections, foster leadership skills and provide nannies with the skills they need to be extraordinary caregivers. Recently, MAPN teamed with other local groups to put on Nannies Across America, a local one-day event that provided child and professional development workshops to 80 nannies. Erin currently works outside of Boston, MA as a full-time nanny to three children who are 9, 7, and 3 ½ years of age; she has been with the family for three years. In her spare time she enjoys camping, hiking, photography and a good book.